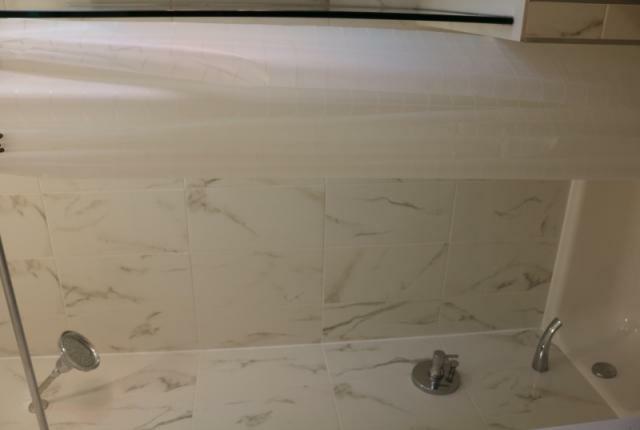 Newly renovated one bedroom apartment, located in the Greenpoint neighborhood of Brooklyn. 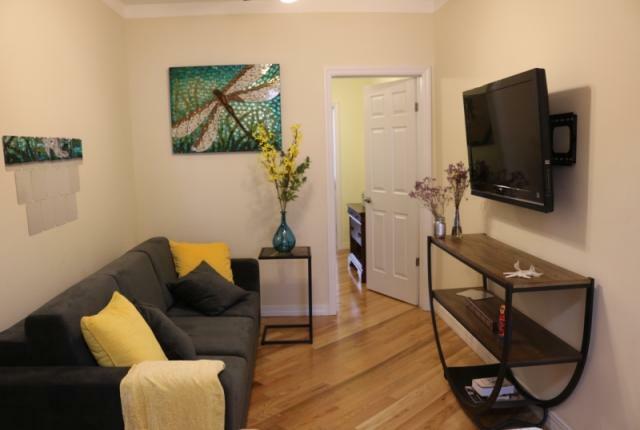 The apartment has brand new furniture and appliances, ceiling fans and plenty of natural light. 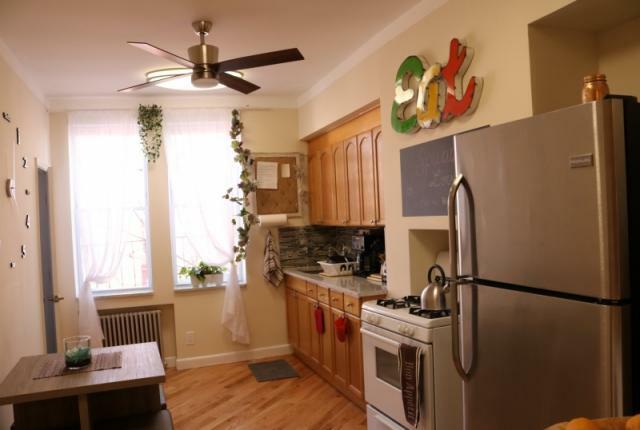 You will feel right at home during your stay in NY. Greenpoint/Williamsburg is the perfect location set in the heart of Brooklyn. It offers some of the best nightlife, restaurants, and shopping areas. There are many parks within walking distance that have playgrounds, dog parks, and exercise areas. In the winter, the nearby park transforms to a skating rink. The L subway (only 9 blocks away right past beautiful McCaren Park) will take you to lower Manhattan in under 5 minutes. 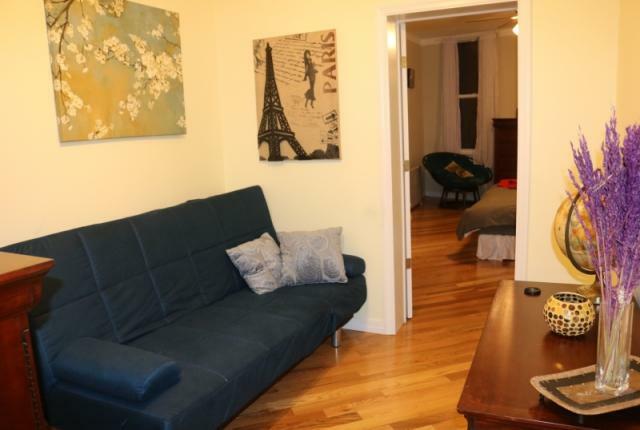 This is the perfect location for those looking to be close to enjoy Manhattan while still being able to have an authentic experience during their stay. The kitchen has large windows that offers sunlight during the day. 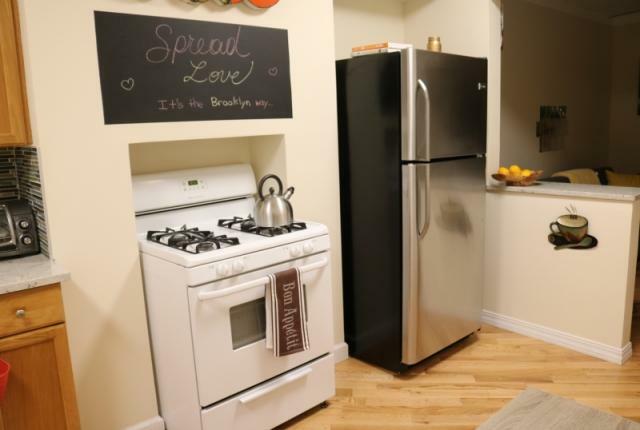 It has brand new marble counter tops, stainless steel sink, oven, stainless steel refrigerator/freezer, a quiet, high quality fan, and a dining table with seating for four. 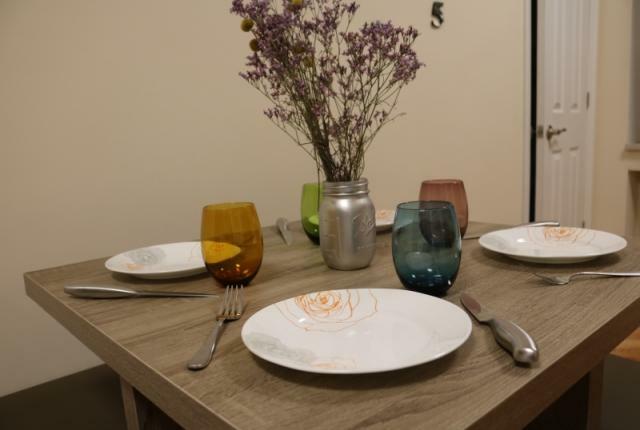 The kitchen is fully accessorized with dishware and cookware as well as a coffee machine, toaster oven, and Bullet juicer. The kitchen features high quality products such as Henckels knives. 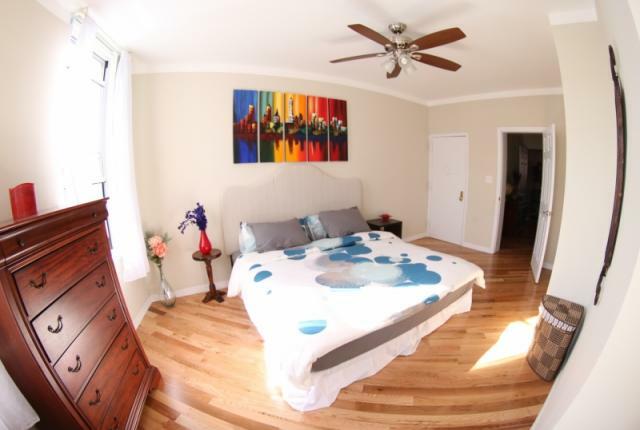 The master bedroom has a king size bed, fan and linens are included. Separate sleeping area with second sofa bed. All linens included. Fan in room. 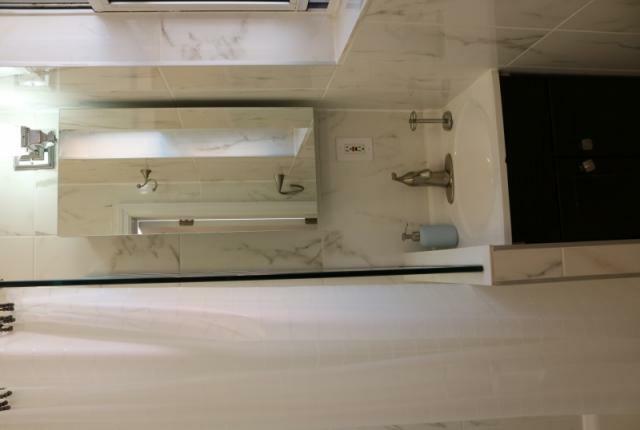 Newly renovated, private, full bathroom with a shower and bathtub. Towels included. No smoking. No parties. Pets considered.